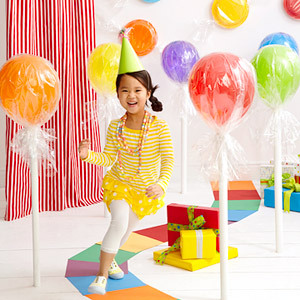 Bright vibrant colors, the sugar plum fairy, what a great game candyland is, so why not make it your child's birthday theme!?!? 1. This first party is from my favorite website, Hostess with the Mostess. If you click here will be able to find out how to set up your tabletop, party decor and even a sample food menu, it's as simple as a click! They hung colored paper lanterns and tied them so they look like giant candy hanging from the tree. 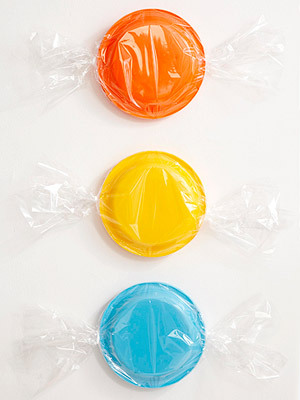 You might want to try colored balloons. You get the same effect and it's much cheaper! These are the favors they put together. I actually did the same favor for my daughter's first carnival birthday party. 2. 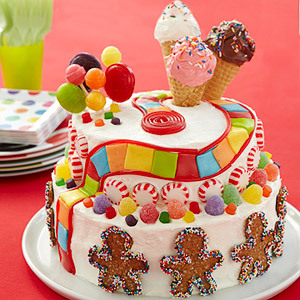 This next party comes from Glorious Treats. 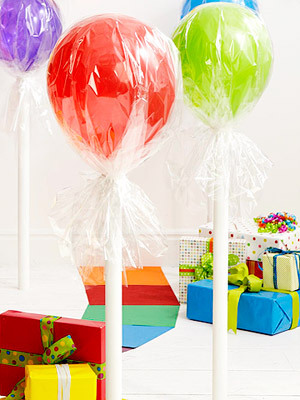 She even includes directions on how to make the giant lollipops! Click here for the full details. 3. Okay, this party is brought to you buy the Tip Junkie, via Parents.com and it's amazing! 4. Passion for Parties came up with this next party. Click here for all the details. 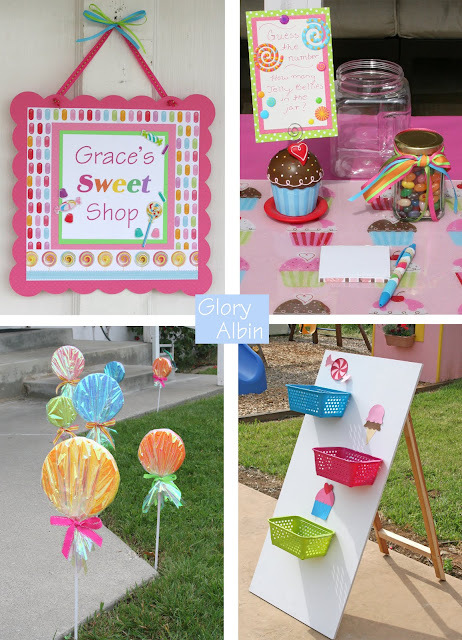 I just love how she made this candy buffet into a store front. The candy garland is super cute!